See What The Press Are Saying About B.A.R.K. 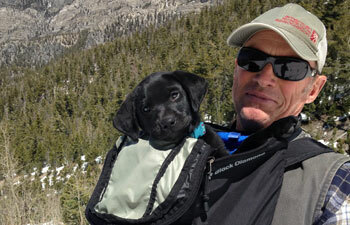 Bristlecone Avalanche Rescue K9’s (B.A.R.K.) 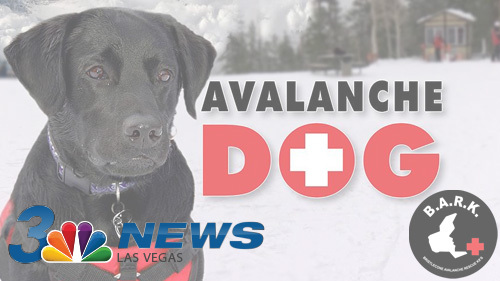 is a nonprofit 501c (3) organization established in 2015 to provide rescue dogs in avalanche situations for the Mount Charleston area. B.A.R.K. 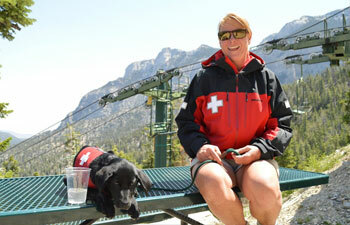 was founded by ski patrollers from the Lee Canyon Ski Patrol. 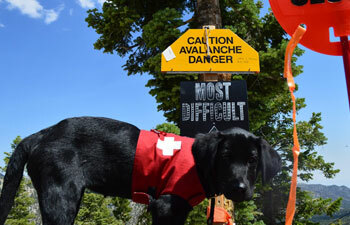 Our goal is to have dogs based at the Lee Canyon Ski Area, which any of our trained ski patroller handlers can take to an avalanche scene and work effectively. Many ski areas in the U.S. have similar programs. Speed is crucial in avalanche rescues, with minimal chances of survival if victims are buried for 30 minutes or more. A trained avalanche dog can search an area the size of a football field in five or ten minutes. It would take a probe line of 50 people using poles a couple of hours to search the same area. When 30 minutes can mean the difference between life and death to a skier lost on a snowy mountain, most people would bank on the dog. Lida spent her first winter on the mountain learning basic obedience, travel techniques with a skier, loading and unloading from a chairlift, riding on snowmobiles and in snowcats, and many search drills. She progressed from basic hide and seek drills to finding “victims” buried in snow caves and article searches. She loves her work which is play to her, and is counting the minutes to when she can put her vest on and go back to work. Carson is just at the start of his training to become an avalance search and rescue dog! And he is very excited to get to work. 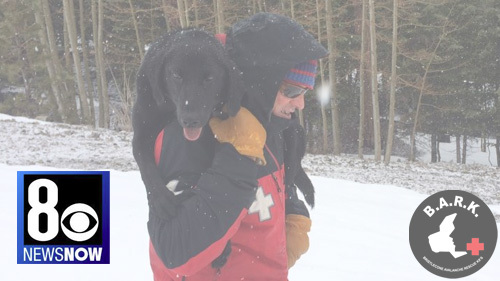 Both Lida and Carson with their handlers will travel to Alta Ski Area in January 2017 to attend the Wasatch Backcountry Rescue (WBR) Dog School. WBR is the oldest dog school in the U.S. and will prepare Lida and Michelle for their validation tests. B.A.R.K. uses the Canadian Avalanche Rescue Dog Association validation protocol for certifying rescue dogs. A validated team – one that can be used and trusted in rescues – must be able to find two buried human victims and two buried articles of clothing or gear in 40 minutes.